John Calvin was easily one of the most influential Christians of the 2nd millennium. A key figure in the Protestant Reformation, Calvins legacy remains immensely strong, with hundreds of thousands gaining insight from his works of major doctrines such as the interaction between the Sovereignty of God and Mans Free Will. Countless analyses and critiques of Calvins work have been centuries, and a huge number of Churches and denominations hold to Calvins teaching to varying degrees. His name is thrown about in theological discussions that cover a broad spectrum. 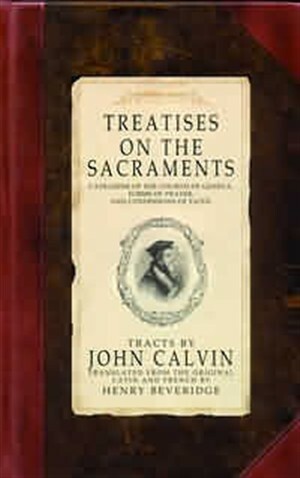 This unedited collections allows you to read John Calvins own ideas on issues relat ed to the sacraments, catechisms, forms of prayer and confessions of faith.One of the key issues that led to the Reformation and the birth of Protestantism was Romes treatment of the Lords Supper. Calvin and the Refors believed the Catholic Mass was founded on a grave error that needed to be corrected. The majority of this collection majors on this key doctrine that still divides the church.